The film has entered the public domain due to an error by the distributor. The story follows characters Ben (Duane Jones), Barbra (Judith O’Dea), and five others trapped in a rural farmhouse in Pennsylvania which is attacked by unnamed “living dead” monsters which later became known in popular culture as zombies. 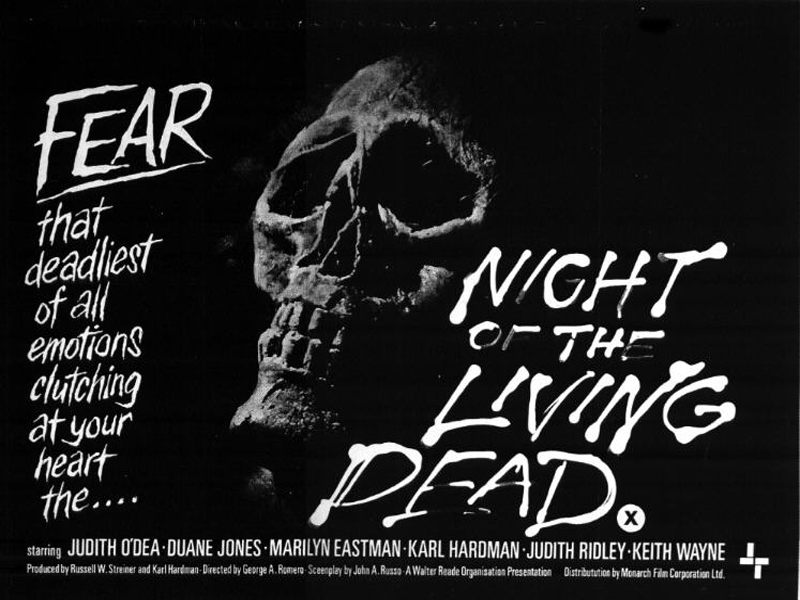 Night of the Living Dead was the basis of five subsequent Living Dead films (1978–2010) also directed by Romero, and has inspired remakes. Barbra (Judith O’Dea) and Johnny (Russell Streiner) drive to rural Pennsylvania for an annual visit to their father’s grave. Noticing Barbra’s discomfort, Johnny teases, “They’re coming to get you, Barbra”, before she is attacked by a strange man (Bill Hinzman). Johnny tries to rescue his sister, but falls and bashes his head on a gravestone, killing himself. Barbra flees, with the zombie in pursuit, including the de rigueur stumble-and-fall and the loss of her shoes. She arrives at a farmhouse where, to her horror, she discovers a woman’s mangled corpse. Running out of the house, she is confronted by strange menacing figures like the man in the graveyard. Ben (Duane Jones) arrives in a truck and takes her back inside the house. Barbra slowly descends into shock as Ben drives the zombies from the house and begins boarding up the doors and windows.